General Stargazer here with another Drifter Watch update! With the release of Carnyx, the “unidentified wormholes” that have been appearing at random are now traversable. A group of us banded together on patch day, and as of 14 June we have successfully completed the new complexes in each of these wormholes. 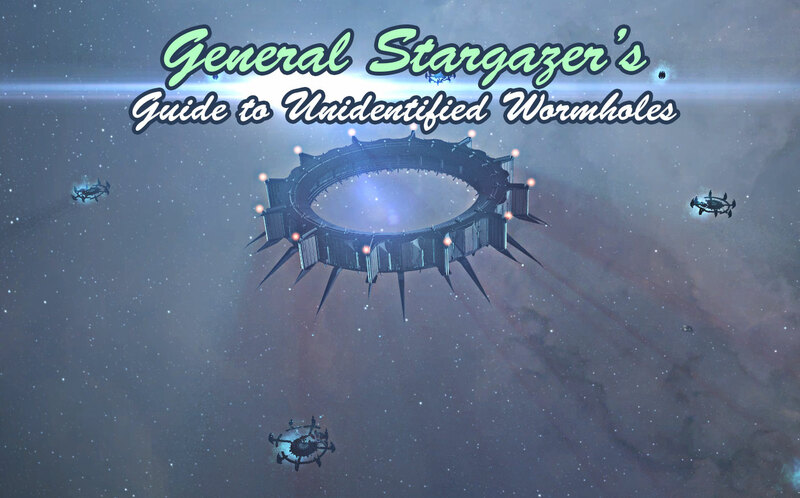 To help the rest of the community understand these new systems and what’s involved, I’ve put together a report covering the more critical elements of what these new wormholes are all about. I will be concluding these reports with a few short videos of my journeys through these wormholes—so stay tuned! What’s so special about these wormholes, and why would I want to go in one? They are similar to existing wormholes, but with a twist. When locating one of these wormholes in “known” space, they aren’t required to be scanned down. They simply appear as beacons named “Unidentified Wormhole” that can be warped to. Each of the wormhole entrances from K-space have their own unique wormhole entrance signature types, too. This allows you to easily identify which type of system the wormhole will lead too without actually having to enter. Once you have traversed the wormhole, an exit K162 wormhole is created. You will have to bookmark the wormhole once inside, as they are not on beaconed on the overview. They are, however deadspaced on this side, so when you warp to them you will always warp-in 80km away. In addition, if you want to exit via another wormhole, you will have to scan them down in the traditional way. 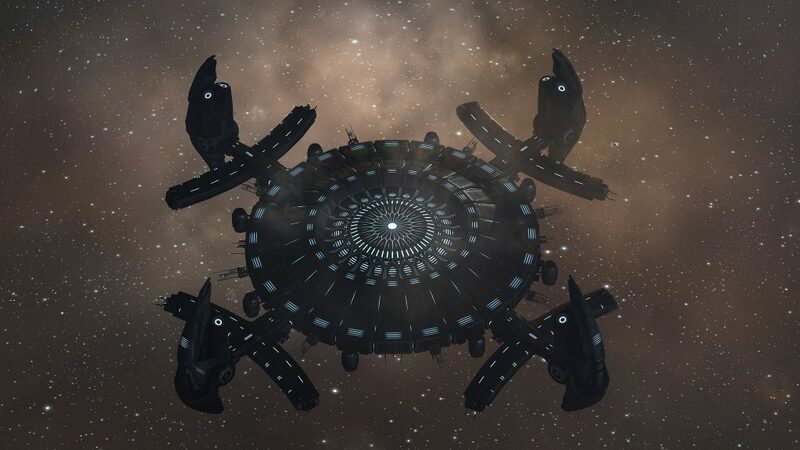 As of 16 June, 2015, none of the wormhole systems appear on dotlan, but we believe that they all have a C2 level to their respective effects in each of the systems. They are 100% shattered systems as well, and as there are no moons, no PI is possible. In terms of where to find the system(s) that they are in, to a degree, it is a bit of blind luck. By all appearances, the “Unidentified Wormholes” still only appear in systems with “Jove Observatories”. As the locations of all these structures have now been catalogued, your best bet is to pick a region, load up the system names that structures have been noted in, and start exploring. Just to give you an idea of the randomness involved, after the servers came up on patch day, and after searching for about 20 minutes in Minmatar space, I found the entrance to Barbican in a 1.0 system. Simultaneously, Makoto found a wormhole in a Caldari highsec island 0.6 system that lead to Redoubt. One week later, we were trying to find the wormhole that leads to “Conflux”—a fleet of 11 people spent four hours searching every single highsec and lowsec system with unidentified structures. We ended up finding the wormhole entrance by checking out losses to Drifters on killboards in nullsec, cross referencing the systems to unidentified structure locations to ensure it wasn’t a Seeker death spawning a Drifter, then navigating from there. In terms of static connections that wormholes sometimes seem to have, all of these new wormholes have static C2 connections. When scanning down the wormholes in system, the C2 connection is the only one that also appears as an “Unstable Wormhole”. It is also not deadspaced like the others, so warping to it at 0 means you will land on it at 0. From observations as well, the C2 wormholes do not have the surrounding Sleeper structures that the other “Unidentified wormholes” have—nor have I yet to observe the Drifters “using” these wormholes for traversing. If it’s intended or not, the “Unidentified Wormhole” connections always seem to have at least three connections active, and up to five active at any one time. 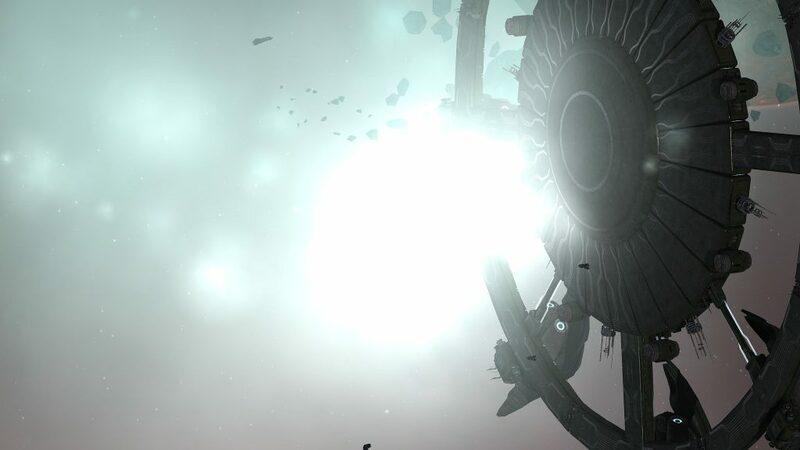 Beyond the C2 static, these wormholes always connected to somewhere in known space and have varied in their connections between highsec/lowsec and nullsec. The reward for completing these wormhole complexes is a bit of a mystery at present. What we’ve found are 10 items called “[Area name] Element”. Each of the wormholes has an Element unique to that wormhole. For example, completing the Conflux wormhole complex will reward you with 10 “Conflux Elements”. In addition, killing the Drifter battleship that is guarding the vault (Hikanta Tyrannos) will reward you with an Index for a different wormhole. The indexes work in a predictable sequence, so eventually you will come full circle as well. (i.e.—killing the Hikanta Tyrannos in the Conflux wormhole will reward you with the Vidette Index). We have now gained a full set of the elements and wondered if anything would happen once we had a full set, but apparently not. Currently, what the Elements are used for is unknown. Okay, that concludes part one of the new Unidentified Wormholes series. If this is beginning to sound interesting to you, stick around. The next parts of the report will cover ships, and numbers of people it will take. Stay tuned!